Despite being interested in the paranormal all of my life, and researching it for over thirty years, one thing I love about working on a new book is leaning more. 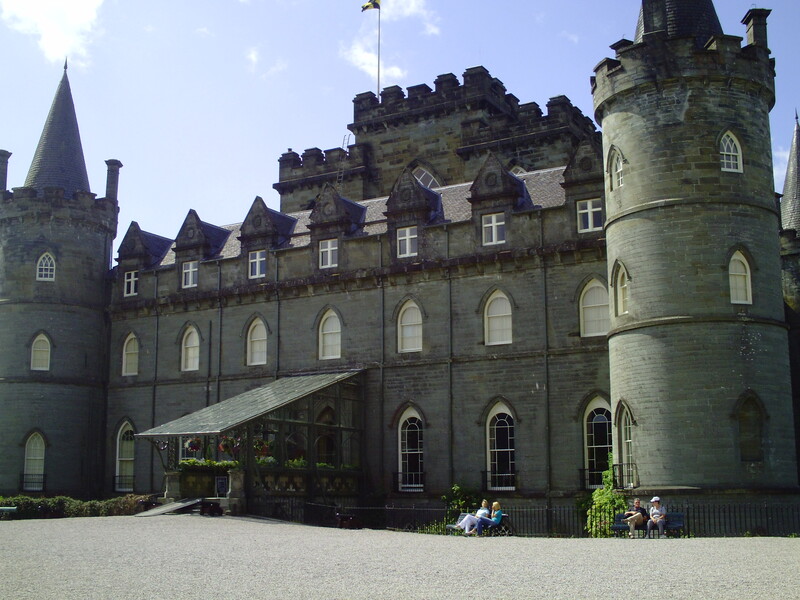 I have just finished a section on Inveraray Castle for my next book, tentatively titled ‘Haunted Castles and Houses of Scotland’. I was aware the castle was reportedly haunted and knew about the spirits, but the ghost battle in the sky was a new one for me! I have checked out the dates and what was witnessed and been able to tie it up to actual events. The haunting is said to have taken place in July, 1748 when a local physician and two colleagues witnessed a strange event while walking in the estate, which was also witnessed by two women who were walking in a different part of the estate. It is said that in the sky above the castle, they saw figures appear and a ghostly battle take place. All of them described it as though Highland soldiers were attacking a fort which appeared to be held by French soldiers. Eventually the Highlanders were beaten back and had to retreat, leaving many of their dead and injured comrades as they were pursued by the French. Several weeks later the news was received that there had been a battle at Fort Ticonderoga in what is now New York State, USA. An army of fifteen thousand British and Colonial troops, led by General James Abercrombie, had attacked the fort, which was being held by the French. Despite several attempts, the British and Colonial troop were unable to breach the forts defensive walls having suffered heavy casualties, they were forced to withdraw. Almost two thousand men lost their lives in the battle, almost five hundred of which were from the Scottish regiment, the Black Watch. It appears what was witnessed above the castle was a type crisis apparition, which is when someone who is not dead but is in great peril appears in front of a loved one to alert them to their crisis. Why so many appeared at the same time and at the castle during their moment of peril remains a mystery and it is clearly a haunting that cannot happen again as the battle has long passed. If the castle does attract some form of crisis haunting for a mass crisis of Scots abroad, a recurrence of the sight with a different incident cannot be excluded. Inveraray has the appearance of a fairy-tale castle, but seems to attract something more sinister. I must go back soon to get some better photographs!